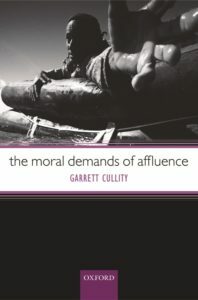 The Moral Demands of Affluence (Oxford: Clarendon Press, 2004). This book refines and defends an argument from beneficence for a moral requirement on affluent individuals to help the poor, and then identifies its limits. “International Aid and the Scope of Kindness”, Ethics 105 (1994), pp. 99-127. Two conclusions are defended here: a normative ethical conclusion, and a conclusion concerning normative ethical argument. First, it is morally wrong for the affluent not to contribute to international aid. But secondly, we can show this without a justificational ethical theory: we need appeal only to the practical reasoning characteristic of the virtues of kindness and justice. Thus the paper displays the resources for normative argument of a “virtue ethics”; but any plausible moral outlook must endorse its normative conclusion. If so, all moral outlooks face a “problem of demandingness”: morality seems to preclude practically any source of personal satisfaction. “Moral Character and the Iteration Problem”, Utilitas 7 (1995), pp. 280-289. If “virtue ethics” claims that the moral value of character is explanatorily prior to that of action, two important objections to it are these. (1) I can perform an F action “out of character” — without being an F person. (2) Even if this could be answered, what would compel us to explain an F action as the sort performed by an F person, rather than explaining an F person as the sort who performs F actions? What licenses the claim of priority? Addressing these objections, this paper discusses a case of callous action that sustains the virtue ethical claim. “The Life-Saving Analogy”, in William Aiken and Hugh LaFollette (eds), World Hunger and Moral Obligation, 2nd edition (Englewood Cliffs: Prentice Hall, 1996), pp. 51-69. Reprinted in David Benatar (ed. ), Ethics for Everyday (New York: McGraw-Hill, 2002). According to the Life-Saving Analogy, non-contribution to aid agencies is like failing to take some simple measure to save a life threatened right in front of you. This paper examines two objections to it. The first questions whether, even if aid agencies do confer a net benefit on the very poor, the effect of my contributions of time and money to those agencies will be the saving of life. The second questions whether one can begin with a situation involving a single threat to life, and then draw conclusions concerning a situation involving an enormous number of potential beneficiaries of our help. “Pooled Beneficence”, in Michael J. Almeida (ed. ), Imperceptible Harms and Benefits (Dordrecht: Kluwer, 2000), pp. 9-42. There can be situations in which, if I contribute to a pool of resources for helping a large number of people, the difference that my contribution makes to any of the people helped from the pool will be imperceptible at best, and maybe even non-existent. And this can be the case where it is also true that giving the same amount directly to one of the intended beneficiaries of the pool would have made a very large difference to her. Can non-contribution to the pool be morally justified on this ground? I argue that it cannot. For, first, this line of thought leaves unaffected any reasons for holding that failing to perform the direct action of benefiting someone greatly would be wrong. But the pooling system of helping people is often better than a system separating the help which is given — better because of the perceptible difference it makes to its beneficiaries. If so, failing to contribute to the pool will be at least as wrong as failing to have helped directly would have been. The paper clarifies and defends an argument of this form, showing how it can be formulated in a way that avoids apparent counterexamples, and identifying the assumptions on which it rests. “Asking Too Much”, The Monist 86 (2003), pp. 402-18. A moral analogy is sometimes claimed between saving someone’s life directly, at small personal cost, and contributing towards helping people at a distance: since failing to do the first is morally wrong, so is failing to do the second. Given the current state of the world, iterating this analogy leads to a severely demanding conclusion. I argue that, although we should accept the analogy, the right approach to it is not the severely demanding one. There are certain fundamentally important goods that are only accessible to us if our lives do not have the altruistic focus required by the severely demanding view. Attending to the nature of these goods, and the nature of the reasons for helping other people, allows us to argue against that view. I then identify the view we should accept instead. “Beneficence, Rights and Citizenship”, Australian Journal of Human Rights 9 (2003), pp. 85-105 , Special Issue on “The Rights of Strangers”. What are we morally required to do for strangers? To answer this question – a question about the scope of requirements to aid strangers – we must first answer a question about justification: why are we required to aid them (when we are)? The main paper focuses largely on answering the question about justification, but does so in order to arrive at an answer to the question about scope. Three main issues are discussed. First, to what extent should requirements of beneficence – requirements to benefit other people – be seen as generated by people’s rights to receiving aid? Secondly, what is the relationship between requirements of beneficence that apply to us collectively and requirements of beneficence that apply to each of us individually?My third issue concerns the moral significance of citizenship. What morally relevant difference is there between strangers who are compatriots and those who are not? This short essay provides a general introduction to beneficence and its treatment within moral philosophy, and then discusses its application to a number of important issues in the ethics of health care. It might be thought that there is just one problem of demandingness for morality: a problem about the promotion of welfare. But there is more than one problem of demandingness. I shall illustrate this by discussing a pluralistic moral theory which sees moral requirements as deriving from three different sources: the morality of concern (which generates requirements to promote welfare); the morality of respect (the source of requirements to respect others’ equal entitlements to exercise their autonomy); and the morality of cooperation (which gives us those moral requirements that govern our joint activities). The morality of respect and the morality of cooperation generate problems of demandingness which need to be answered alongside the more familiar problem associated with the morality of concern. The three problems have a parallel form, and they also have a parallel solution. The solution, in each case, comes from what I shall call “an argument from presupposition”. “Compromised Humanitarianism”, in Keith Horton and Chris Roche (eds), Ethical Questions and International NGOs: An Exchange between Philosophers and NGOs (Dordrecht: Springer, 2010), pp. 157-73. This essay, written as part of a dialogue between philosophers and aid workers, begins by examining the differences of opinion concerning the proper role of a “humanitarian imperative” in governing the work of relief agencies. I then aim in the rest of the essay to show that moral philosophy can make a helpful contribution to clear thinking about these issues. It can help us to think about what kinds of humanitarian activity are morally compromising, and what kinds of moral compromises it could be right to make.